Miranda felt that she owed some kind of amends to Taylor for pre-judging the girl as an idiot. She had first encountered Taylor as a waitress at Coupa when the girl said “Perfect” to every customer’s request. 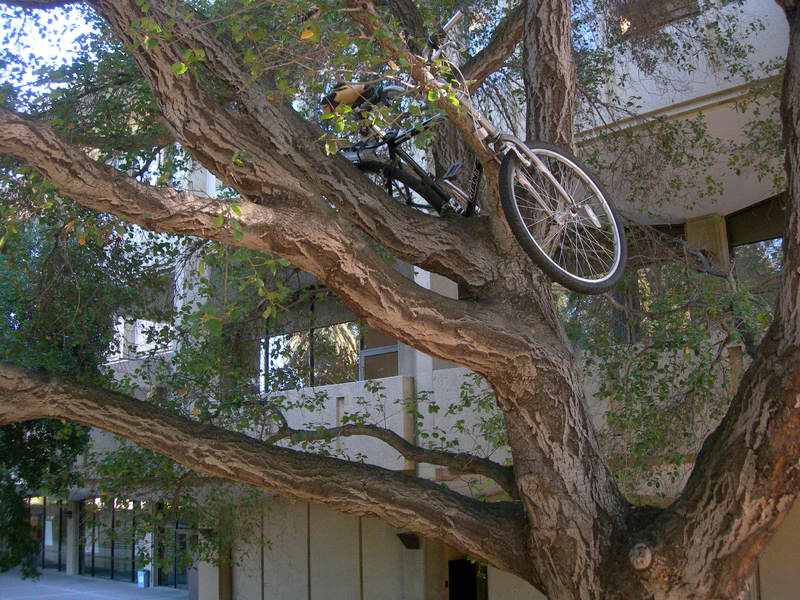 Bike in a tree at Stanford….